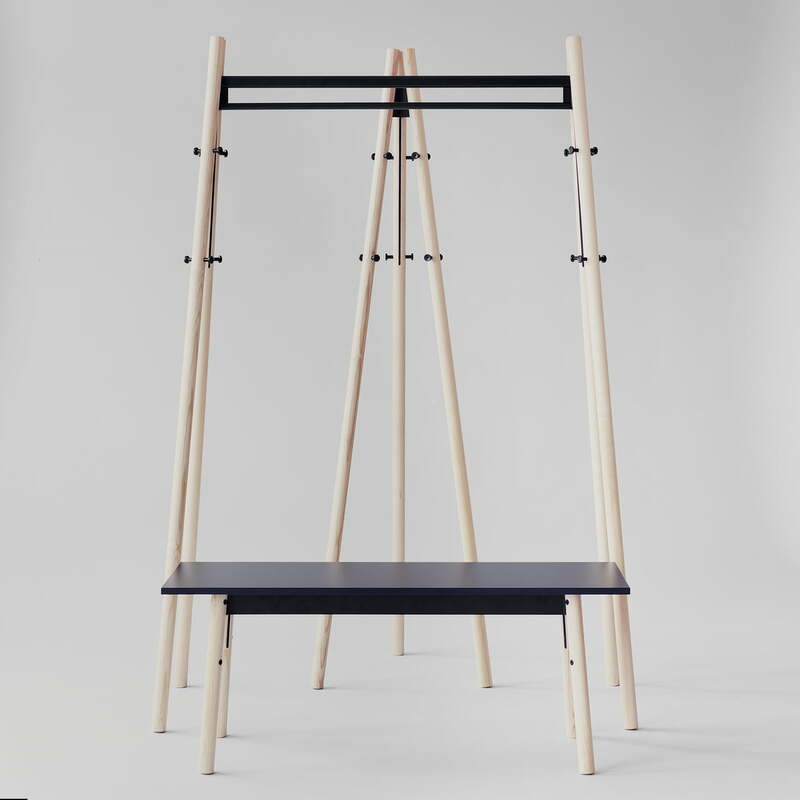 The Kiila hallstand by Artek is part of the collection of the same name and was designed by the Finnish designer Daniel Rybakken. The aim of his design was to create small furniture objects that correspond to Artek's style but tell an exciting story of their own. Rybakken's work can be understood as a homage to the famous Finnish designer Alvar Aalto and the often recognisable originality in his designs. The construction of the hall stand is very simple and yet special. Apowder-coated metal joint in the form of a wedge serves as the base (in Finnish Kiila). 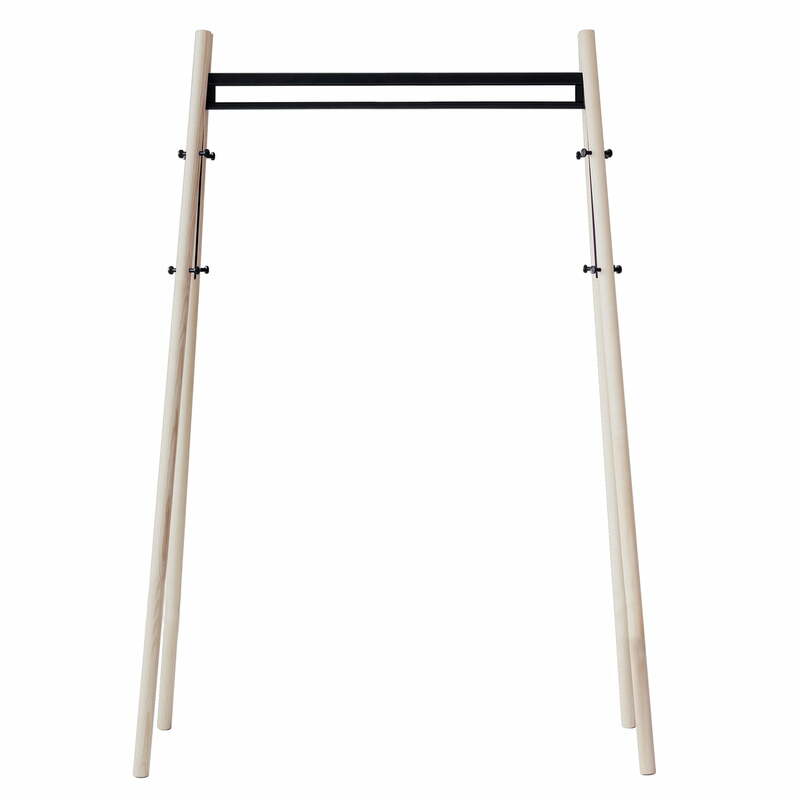 The slender ash wood legs are attached to it in a V-shape and ensure a secure footing. They are screwed with metal pins that protrude from the legs and at the same time serve as practical hooks for hanging hats, bags and the like. Rybakken has deliberately made all elements of the construction visible, creating a transparent design that keeps nothing hidden from the user. The two pairs of legs are connected by an angular metal cloakroom rail, which provides a wonderfully exciting contrast to the softly shaped wooden legs. 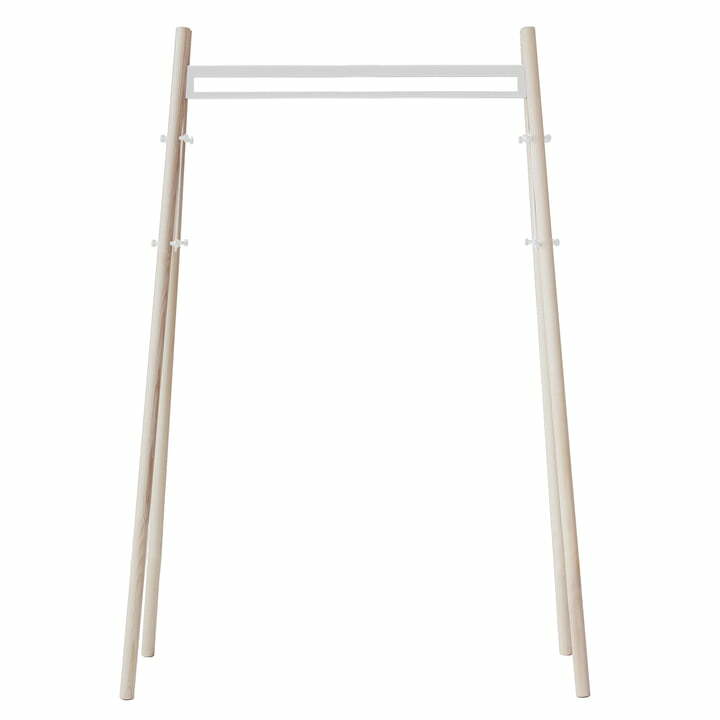 It can be used to hang items of clothing of your choice, including heavy coats and jackets. Placed in the corridor and entrance area, the Kiila hall stand convinces with its inviting design, which spreads Scandinavian flair. It can also serve as an alternative to the classic wardrobe in the bedroom, attracting attention with its minimalist design. The Kiila clothes rack is available in various colours and different wood finishes. Isolated product image of the Artek - Kiila bench in natural ash / stone white. 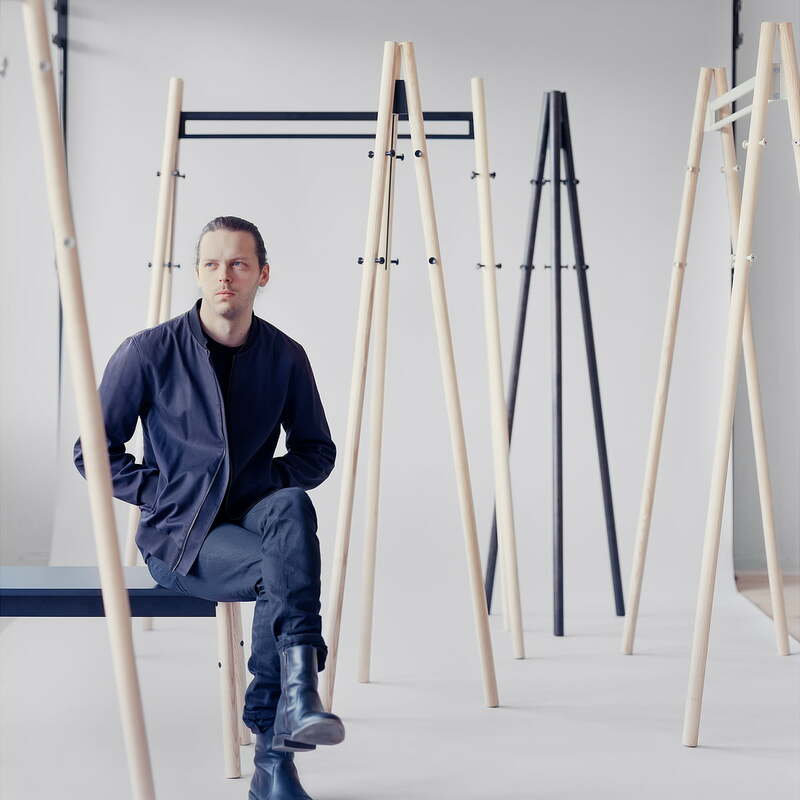 The Kiila hallstand by Artek is part of the collection of the same name and was designed by the Finnish designer Daniel Rybakken. 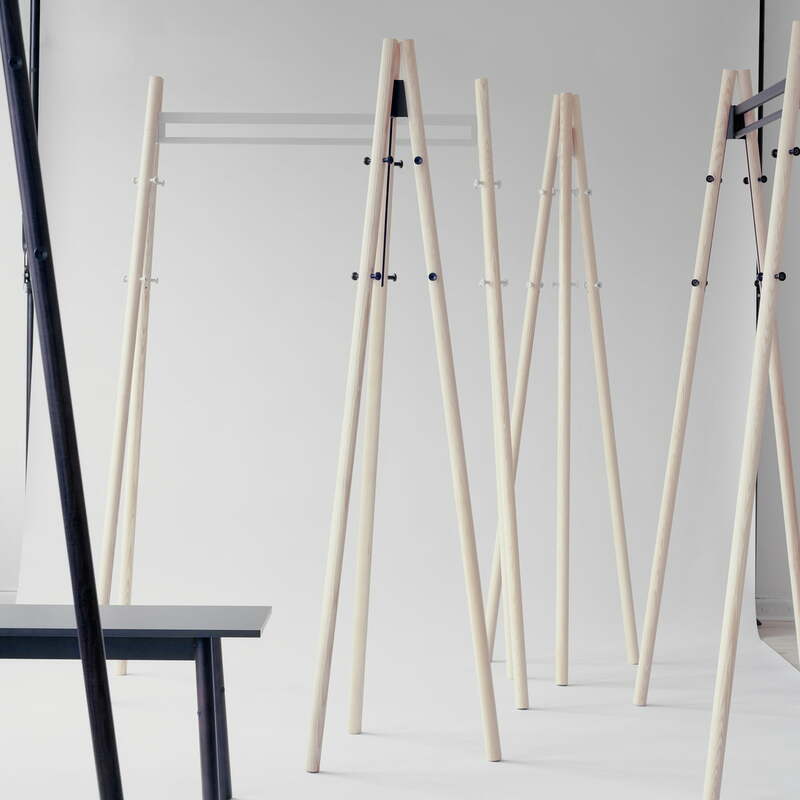 The minimalist stand is characterised by its slender wooden legs and a wedge-shaped metal base. Isolated product image of the Artek - Kiila bench in natural ash / black. 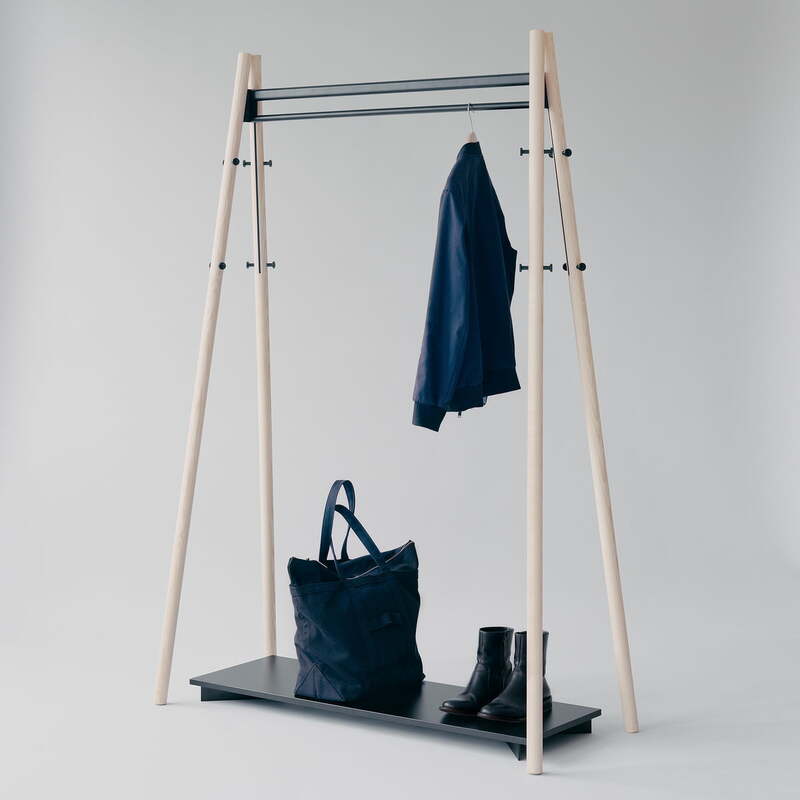 The Kiila hallstand by Artek is part of the collection of the same name and was designed by the Finnish designer Daniel Rybakken. The minimalist stand is characterised by its slender wooden legs and a wedge-shaped metal base. 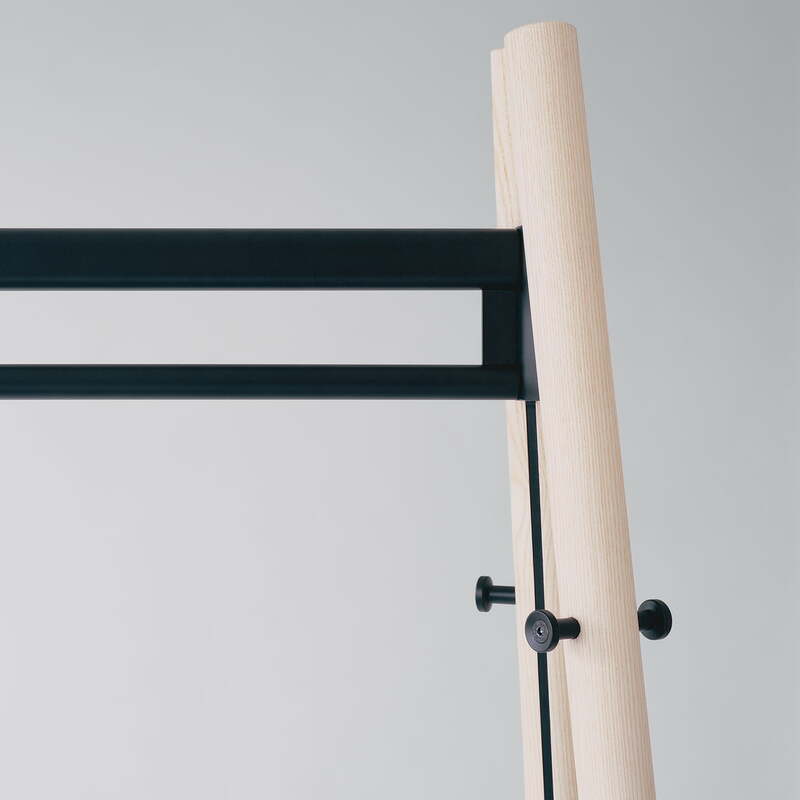 Detail product image of the Artek - Kiila coat rack. 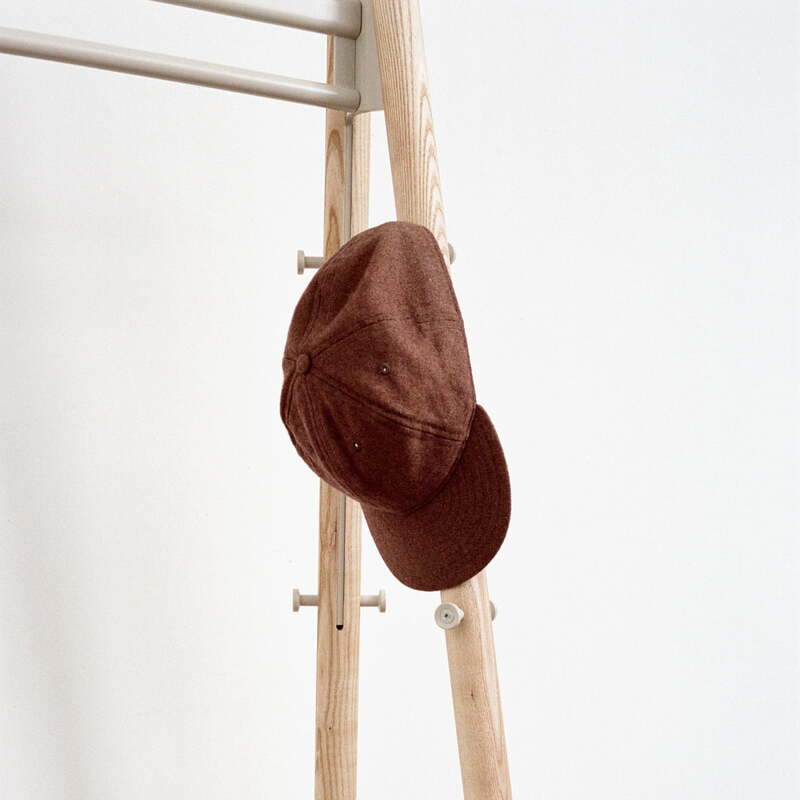 The legs are bolted with metal pins that protrude from the construction and serve as hooks for hats or bags. 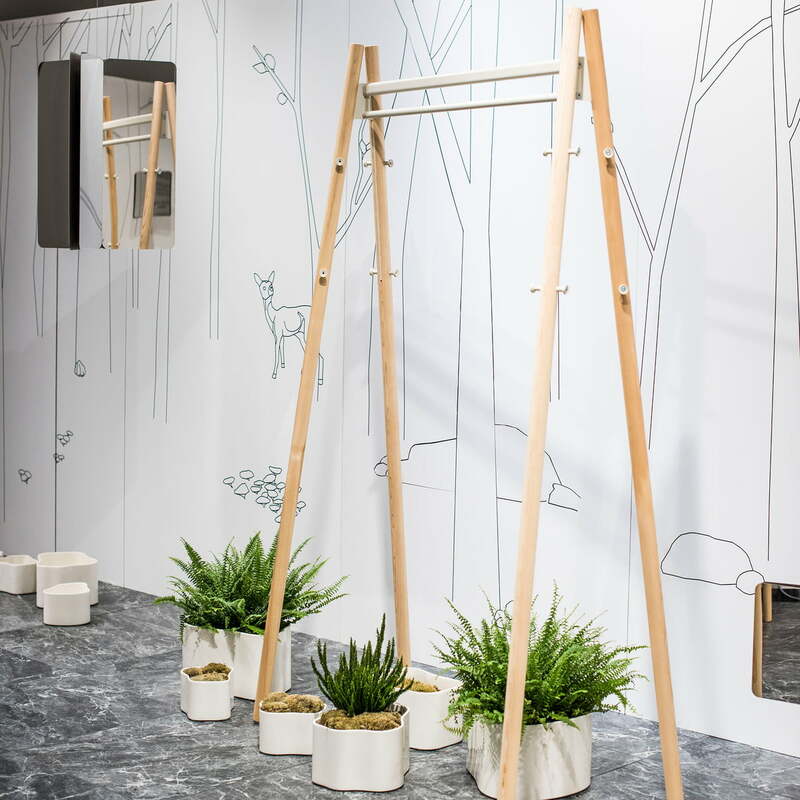 Lifestyle product image of the Kiila hall stand. Placed in the corridor and entrance area, the Kiila hall stand convinces with its inviting design, which spreads Scandinavian flair.